Call recording capability on a Telephone System is fast becoming an essential requirement for all Businesses. If customer service is a key part of your business you will no doubt understand the importance of call recording. Whether for training purposes or as back up for disputed calls, recording can deliver business benefits. Give your marketing and sales teams essential insight into effective sales techniques and marketing campaigns, improve staff training and performance and deter inappropriate calls and security breaches. 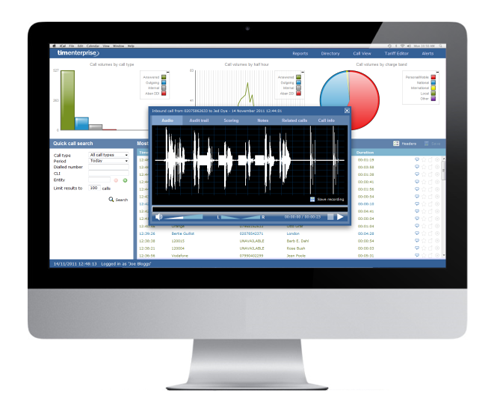 To find out more about our Call Recording Solutions call 0800 206 2107 or send us an email.